The liquid marinade is comprised of just water and healthy vinegar. 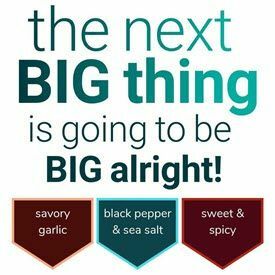 The vague term flavorings is used, which can mean many different things. There could be healthy foods included in the flavorings, and it could contain unhealthy things also. The sugar level is on the higher side, having 7 grams of sugar per 28 grams of jerky. We would rather not see the sugar level exceed 3 grams. 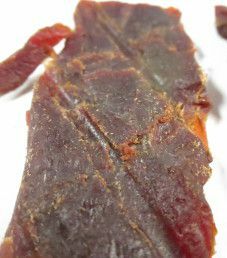 The salt level is especially high at 600mg of salt per 28 grams of jerky. Our preference is 350mg grams of salt or less. 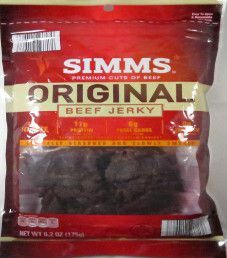 This jerky does use unhealthy sodium nitrite as the main preservative, apart from salt. To a lesser degree, citric acid and vinegar acts as preservatives. The quality of how citric acid is manufactured can vary widely. This jerky does not qualify to be MSG free. The highly processed flavor enhancer hydrolyzed soy protein is used. Hydrolyzed soy protein is also a form of unhealthy trans fats. 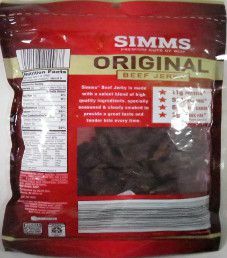 These jerky strips are small and medium in size. The thickness is medium. There is a fairly dry, good texture. 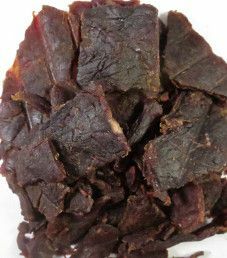 There are some visible signs of fat that add to the overall taste, and handling this jerky leaves no oily residue on your fingers. The first taste detected is a slightly processed beef taste. There is a fairly strong salty taste that really defines this flavor. The soy taste is mild, and this flavor is moderately sweet. While not bad tasting, there is nothing special with this original flavor. There are no obvious slogans on this bag, but a number of facts displayed. They are “97% Fat Free”, “11g Protein”, “6g Total Carbs”, “0g Trans Fat”, “Made in USA”, “Premium Cuts of Beef”, “Specially Seasoned and Slowly Cooked”, and a “Lactose Free” image. We actually disagree with the “0g Trans Fat” claim, where the flavor enhancer hydrolyzed soy protein is a type of trans fat.